Our More Women network is driving the practices we need to achieve gender equality at the top of our firm. It provides internal and external networking events, and has helped shape our directors' mentoring programme. The Family Matters network supports working parents and anyone with caring responsibilities. It helps them achieve quality of life at home and at work. Our LGBT network OpenHouse supports, educates and empowers employees, managers and allies on LGBT issues. It also engages and challenges our firm on workplaces issues that are important to our LGBT community. Our Enable network supports anyone with physical or mental health issues or non-visible conditions. We also offer a wellbeing programme, including mindfulness programmes, yoga and massage, plus mental health champions who help our people stay well at work. We engage with external networks such as the Law Society, the Black Solicitors Network and Interlaw BAME who are invaluable sources of knowledge. We also celebrate and communicate key festivals and events like Black History Month. 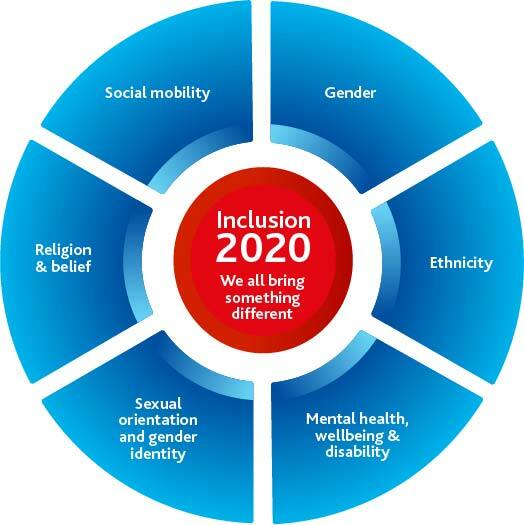 Using our diversity and inclusion calendar we promote and highlight many religious feasts and festivals including Diwali, Ramadan, Eidh and Easter. There are prayer rooms available in each of our offices. Through social mobility, we can fill our team with the best and brightest people from all walks of life. We run a programme supporting those from deprived backgrounds, offering work placements, mentoring and bursaries. And our award-winning Legal Social Mobility Programme gives students work experience in clients' organisations. "As the board sponsor for our work on mental health, disability and wellbeing I'm committed to raising awareness and understanding, and to help to create an environment where everyone can get support"
At Gowling WLG we are committed to establishing and embedding a workplace culture that recognises the importance of wellbeing and cares about mental health. Learn about the support available. Proud to be a member of Stonewall. Visit the Stonewall website to find out more. Proud to be a member of the Business Disability Forum. Proud to be a member of Business in the Community. Proud to be a member of Working Families. Learn more on the Working Families website. Want to know more about how we make sure our team is diverse, inclusive, and representative of the rich and varied world in which we work?